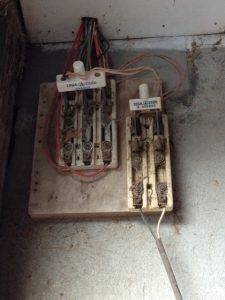 A few years back I posted some stories I called “Mex-Electrical“, a series featuring some of the quirky (and sometimes downright dangerous) electrical installations that you will find in the developing world. You find some acceptable work, and you can come across some really bad installations when you stop and take a look at the wiring around you. 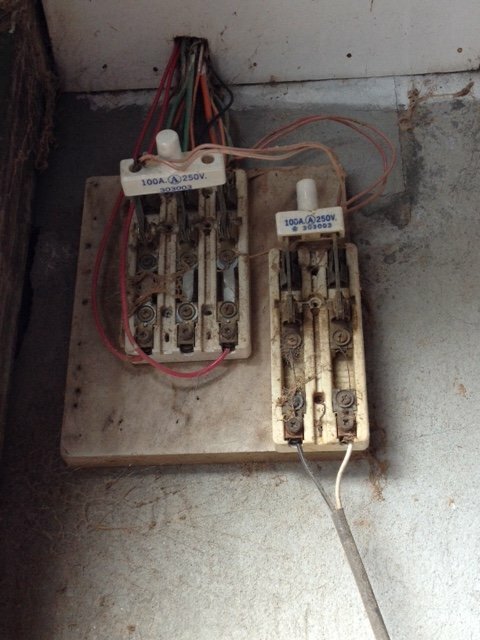 Last winter I posted an article about common switch problems, and I featured a video from our condo in Tamarindo, where I investigated a problem with a faulty switch in our bathroom. 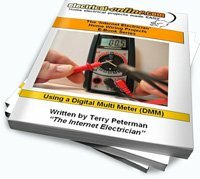 (http://www.electrical-online.com/common-light-switch-wiring-problems/). I called the video SPI (switch problem investigation) Tamarindo. As a generalization, I would have to say that the electrical work that I have observed here in Costa Rica is overall better than what I have witnessed in Mexico, or at least the areas of Mexico that I have visited. I have also found some very shoddy and dangerous electrical work here as well. We went on an overnight trip to the Monteverde rain forest area a couple of weeks ago, and I couldn’t help but snap a couple of pictures of the electrical service to the workshop at the hotel we were staying at. Here is the service supply conduit running along the embankment from one building to the other. I didn’t want to dig into this installation too deep so I don’t know if the two wires in this broken conduit were the supply feeding the workshop, or if they were a circuit being supplied from the workshop. Nor could I tell if this was a 120V circuit, or a 240V circuit as there were only two conductors, and both were red. 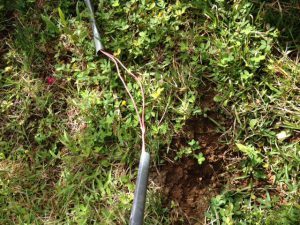 Either way, there is no ground wire in the plastic conduit and the conduit itself has been broken and torn apart, so no mechanical protection for the wires either. Here is the main disconnect for the workshop. Again, not sure if the conduit and wire shown above is the service feed to the workshop, or if it is a branch circuit taken from this open knife disconnect? That’s an example of the downright dangerous! And then there is the somewhat funny stuff. Take a look at this picture from a public restroom in Costa Rica. It’s a nice job of installing a receptacle, but why? Try for a moment to think of what electrical appliance you might have a need for while standing there? Curling iron? Blow-dryer? Electric razor? Things that make you say hmmm. Have you noticed any “interesting” electrical wiring scenarios in your travels? Feel free to share your stories or any pictures! This entry was posted in Electrical Wiring and tagged Costa Rica, Costa Rican electrical, dangerous wiring. Bookmark the permalink.